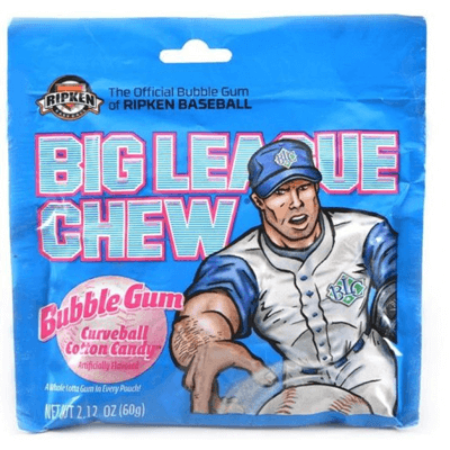 Big League Chew Cotton Candy is another fun flavor added to this popular gum. Each peg bag packet includes approximately 2.12 ounces of yummy strips of bubble gum with a cotton candy kick, perfect for the coaches as well as the players. 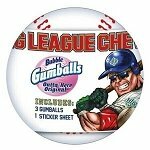 When you order from Candy Concepts, your display box contains 12 pockets of this well-known baseball bubble gum. 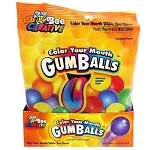 If cotton candy is not your favorite flavor, check out the original bubble gum flavor as well as several others such as grape big chew bubble gum, you can really offer up a wide range of flavors. This impulse bubble gum candy is ideal for adding to concession stands, snack bars, checkout lines as well as sports themed parties too. Be sure to offer the cotton candy flavor because who doesn't love that delightful flavor? Grab a tiny amount or a large handful of this sweet flavored gum, you don't have to be limited by pre-sized pieces like traditional gum servings. 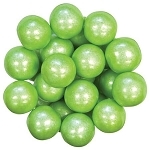 Order your impulse candy today and save, they are ideal on peg board hooks and displays!